European newspapers and magazines are in trouble, putting our democracy in real danger. Shrinking revenues have led to major job losses and closures among publishers big and small across Europe. Without a free press, how will citizens get the critical news and information they need? How will policymakers communicate with citizens? Who will speak truth to power? The press is simply vital to our democracy. You can help to #SaveYourPress by supporting the Publisher’s Right in the European Parliament. It will stop the unauthorized commercial use of our stories that undermines the independent journalism our democracy depends on. How many more journalists and publishers can Europe and our democracy afford to lose? For democracy and independent media. Expressing democratic values. Media diversity and freedom of speech are core values in the European Union’s Charter of Fundamental Rights. And they are values manifest in our multi-faceted media landscape, which is as colourful as the European Union itself. Promoting pluralism. We ensure that diverse views are seen and shared that reflect the different beliefs, opinions and experiences of our fellow citizens. Promoting this diversity is essential to maintain pluralistic society. Fuelling democratic discourse. Whether it’s breaking news, an investigative report, or a feature story, we fuel our democracy with information. In the absence of informed or engaged citizens, civic life would suffer. Making history. News is history in the making, and our journalists write the first draft about Europe and all our communities big and small. Without us, many of these stories will never get written, heritage lost without a trace. A free press, at its best, reveals the truth. Speaking this truth to power – in and outside government – is fundamental to our purpose. This is an indispensable service to democratic society. Without critical journalism and editorial independence, however, we cannot empower citizens with the truth democracy demands. In this era of increasing ‘fake news’, speaking truth to power is even more critical. When it comes to publishers and our campaign for a Publisher’s Right, misinformation is being spread online. Here are the facts. The link will stay free. The Publisher’s Right won’t stop individual users from freely sharing news articles on social media. We want individuals to share our content. That is why practically every article published on our online news sites features a social media ‘share button’. The Internet won’t break.The Internet as we know it today will still look and feel the same. The only difference is that publishers will have the right to ask commercial operators who need authorization to use our content to compensate us accordingly. People will NOT be criminalised. The Publisher’s Right will not criminalize people for sharing our content. This will never happen. Digital and social media have changed our industry. But we are not standing in the way of progress. We embrace innovation and are enthusiastically investing in new and better ways to deliver the news. Unlocking Europe’s creative potential. European publishers compete on a global scale with a growing number of powerful tech and media giants from North America to Asia. A stronger regulatory framework will help to unlock more of Europe’s creative potential, giving us a real chance to show what Europe can do. Imagine the possibilities.Imagine getting the news through virtual reality or if you’re blind, reading it on a tactile display. Developing this revolutionary technology is hugely exciting, and hugely expensive. The Publisher’s Right will help us finance these investments in our shared digital future. Empower us to empower you. Regional and local media break-down global news for citizens, and raise local stories to the European stage and the world’s attention. What would happen in their absence? Without their breaking news, investigative reports and features, much of Europe’s regional and local identities would be lost. How can we preserve European pluralism – a hallmark of democracy – without stories that promote and celebrate our diversity? Publishers are seeking protections similar to film producers, the music sector and broadcasters. Why should newspapers and magazines be treated differently? The Publisher’s Right is the only fair solution. And it’s long overdue. 2019-25-03 - For or against Europe’s independent press? For European content creators or for us tech giants? For workable copyright or legitimised content theft? 2019-12-03 Tues, Google, and the associations they fund are everywhere, briefing against the proposed copyright reform: in the press, on social media, on their own global advertising platform telling everyone how they “deeply care for journalism” and for the creative sector. Google agrees with copyright – just not when it applies to them. 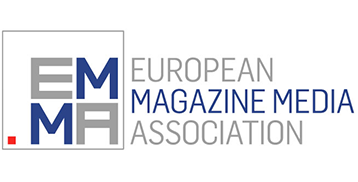 2018-11-12 We, EMMA (European Magazine Media Association), ENPA (European Newspaper Publishers' Association), EPC (European Publishers Council) and NME (News Media Europe) - representing the interests of tens of thousands of news brands, newspapers and magazines, across the EU, are writing to you ahead of the Committee of Permanent Representatives' discussion on 12 December 2018 on the Proposal for Directive on Copyright in the Digital Single Market. 2018-09-10 This week on 12th September, as a Member of the European Parliament you will be asked to vote again on the copyright reform. Voting for the Rapporteur's amendments to the Publisher's neighbouring Right (article 11) on Wednesday is crucial. Why? 2018-08-31 MEPs have a huge responsibility on 12 September when they vote again in Plenary on the copyright proposal: whether they support those who finance our independent press or whether they are prepared to allow US tech giants to continue to capture the revenues of Europe's press. 2018-06-19 Will you vote to help publishers licence their content, finance innovation, invest in professional journalism and support Europe's free, independent press? Or will you be on record as happy to endorse the continued unlicensed use of valuable news content by companies who thrive on monetising the intellectual property of others? 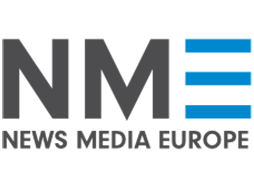 We are an alliance of European publishers with a common commitment to preserve independent media as the cornerstone of European democracy. Fair, equal protection under copyright law is all that we ask of our leaders. This is the Publisher’s Right, and it will empower our democracy. + Why is this protection suddenly needed now? Previous law did not account for the digital transformation that has occurred in our industry. We were operating in a different business environment when Directive 2001/29/EC was passed on harmonisation of certain aspect of Copyright and Related Rights in the Information Society (InfoSoc Directive). In the non-digital past, a publisher’s right was not considered necessary. When the InfoSoc Directive was proposed at the end of the 1990s, publishers were mostly still offering only printed products. The licensing situation was far less complex and the assignment of rights by various contributors to the publisher were more straightforward. Media diversity is a basic tenet of the European Union’s Charter of Fundamental Rights. It is cherished as a citizen’s right and continues to command respect through the role that the independent media play in our democracy. But it comes at a cost, and with responsibilities. Quality journalistic content – from investigative reports to sports coverage – is not just popular to read and share across social media. It is also expensive to produce. Media companies need to make profits to stay in business, pay their journalists and contributors, and remain equipped to carry the risks and liabilities of production, and publishing. + Do you want to amend the legislation for a Publisher’s Right? While we welcome the Publisher’s Right, there are some shortcomings. It is restricted to digital use of press publications and many periodical publications are excluded. The term of protection is much shorter than for other creative industries like film too. We’ve asked for more clarification on the use and protection of both physical and digital press publications. For example, offline exploitations such as the printing out of digital articles or reproduction of physical copies of printed publications (which remains a piracy problem), should be covered. The best solution is to simply add press publishers to the list of rightholders at the EU level (in the InfoSoc Directive 2001/29/EC Articles 2 and 3, and the Rental and Lending Directive 2006/115/EC, Articles 3 and 9). Two enforcement processes are impractical and burdensome for SMEs. The proposed term of protection of 20 years does not sufficiently consider the commercial value of publisher’ archives, which are commercialised long after publication. A fair term of protection in line with other neighbouring rightholders is more appropriate. A shorter term would limit licensing possibilities and opportunities for investment and growth for the sector. Since we all face the same conditions, it is also logical that publishers of other periodicals such as STM journals should benefit too. + Why has EU law treated publishers differently? Press publishers today, unlike other content producers, do not possess any rights of their own at the European level for their published products. Instead, they must rely on the assignment of rights by their authors. This does not provide sufficient protection or legal certainty for publishers given the complexity of contributors and outlets involved. While this was an acceptable and manageable situation in the print age, it isn’t in today’s rapidly evolving digital one. Given the huge investment and resources required to produce professional press and other published content, press publishers should enjoy the same rights as producers from other creative industries. Currently, publishers are not acknowledged as rightsholders in two key EU laws: reproduction and communication to the public (as set out in Articles 2 and 3 (2) of the InfoSoc Directive 2001/29/EC) and the distribution right (as set out in Article 9 (1) of Directive 2006/115/EC). + Why should press publishers have legal parity with other content producers? It seems an obvious omission that a press publisher does not have the same rights as other content producers. A press publisher does not merely publish content created by journalists and photographers. The publisher is responsible for overseeing the entire operation involved from the initial concept to the financing, production and management of a newspaper or magazine, in print or online, and takes legal responsibility together with the editor for making it available to the public of the final published edition(s) and any updates thereafter. Crucially, the publisher creates an editorial brand. Publishers 'go on the record' and defend their journalists, their views and positions in court if necessary, whether they publish in print or online. Publishers can be clearly identified as legally responsible for the published content under their titles and brands and will pursue any copyright infringements on behalf of all their contributors. 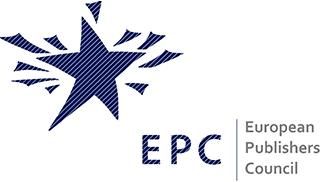 Press publishers in Europe make a significant contribution to Europe’s economy and jobs. According to data from various studies, in 2013 the newspaper and magazine publishing sector employed 528,000 people: more than any other of the creative industry sectors. These figures would be much higher if freelance journalists were also included. The figure could be multiplied if the jobs in related sectors serving the publishing industry (advertising, printing, technology etc. ), were also considered. This contribution could be even more significant – and our press sector even richer in content and analysis – with a more reliable and stable legal framework. + Why do publishers need a stable legal framework? To remain competitive and independently financed in Europe’s Digital Single Market, publishers need to compete effectively and profitably on all platforms. This requires clear rights that are recognised in the market. European publishers produce thousands of articles, which online can be partly or fully copied, recycled and marketed by third parties in seconds. Publishers have long underlined the importance of getting a return on their investment in professional journalism, especially among third parties. The Commission’s proposal provides protection for press publications and recognises the important role of press publishers. This step is long overdue. All other sectors in the creative industries except for publishing enjoy their own rights. A stable legal framework is paramount to the sustainability of the press. Without it, established publishers and start-ups alike lack the financial security to invest in innovation and lead the press into a more digital future. The Commission’s proposal remedies this unsatisfactory situation whereby the high-quality content produced by press publishers contributes to the success of many online platforms that do not significantly contribute to the content, while publishers do not benefit from an appropriate share of the value produced. The Commission is correct in its assessment that, without adequate legal protection at the EU level, the sustainability of publishing industries is at stake. This development undermines media pluralism and our democracy. + How will including publishers into the catalogues of rightholders affect authors, journalists and other contributors to the press publication? Being acknowledged as “rightholder” would benefit employees, freelancers and photographers alike. It will allow for further investment in digital skills and the creation of new jobs. This ultimately benefits the EU’s economy and society. It would be without prejudice to authors’ rights. The Publisher’s Right will have no impact on the contractual relationship between publishers and journalists, nor on the existing provisions in law dealing with transfers of rights in certain Member States. + Will the Publisher’s Right impact citizens? The Publisher’s Right will not affect readers and private uses of publishers' content. Publishers encourage their readers to link and share their articles with multiple share buttons to an article, webpage or within applications. It will not conflict with any legal exceptions to copyright, including for quotation illustration and private use.